So you have Pinoculars setup. Data is coming in. You want to start making audiences for your promoted pins. 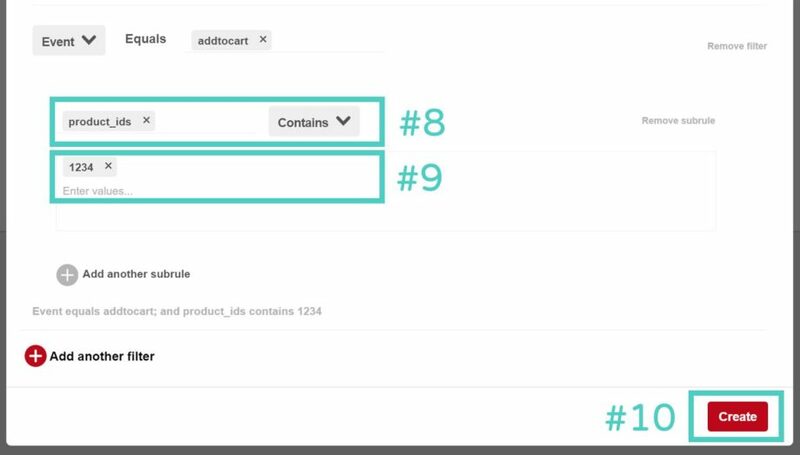 Head over to https://ads.pinterest.com/audiences and click the big red “Create Audience Button” seen in Box #1. Select “Visitors who went to your site” in Box #2. Then click the ‘Next’ button in Box #3. Give your audience a snazzy name in Box #4. Call it something descriptive so you can recall what it is. Then select the tag for your store that you created in Box #5. 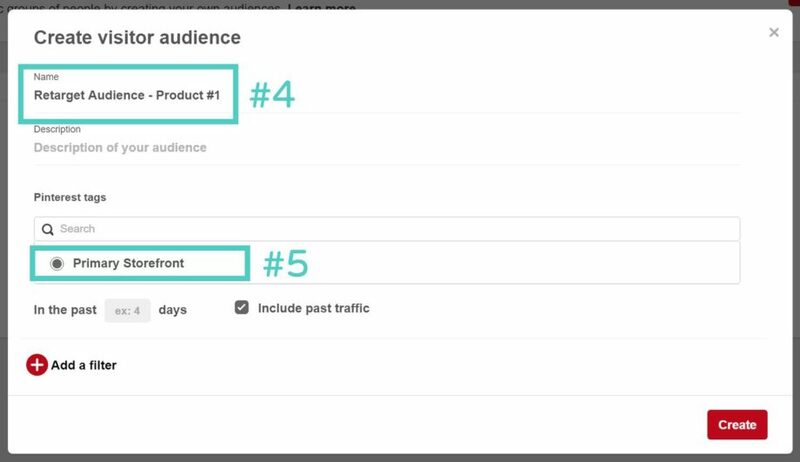 You can use filters to pick which visitors you want to target. Those who triggered the selected event will be added to your audience. Select the event you want to target in Box #6. Find a full list of events available to you through Pinoculars here. Next we’ll add a subrule. This lets you set a specific value for that event. Click “Add a subrule” in Box #7. Some new fields will popup. Enter the subkey you want to target in Box #8. Here’s a full list of subkeys for Pinoculars. Then select the matching criteria. In Box #9, Enter the appropriate value for your subkey. Add more Subrules if you like and click ‘Create’ in Box #10 when you’re done. It can take over 24 hours for Pinterest to start populating your audience with your data. If it’s not working, you may not have enough traffic or the subkey may be inputted incorrectly. Check out the subkey guide again to figure out if anything is wrong. 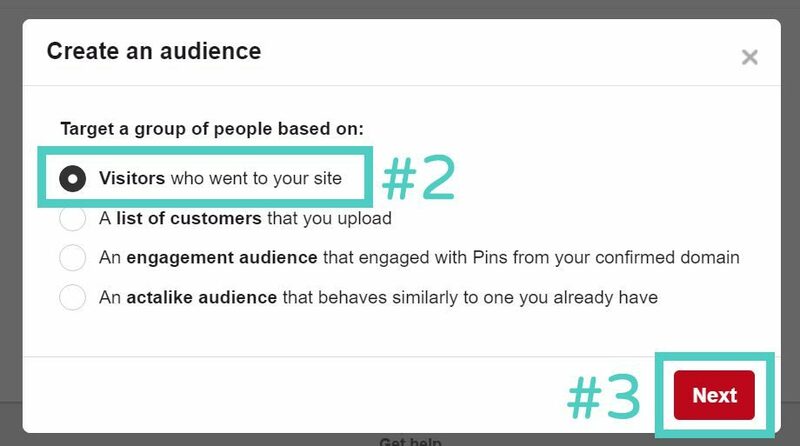 Congratulations – you’ve created a Pinterest audience for promoted pins. Go forth and profit! Want some ideas for filter combinations? Check out our article on retargeting strategies.